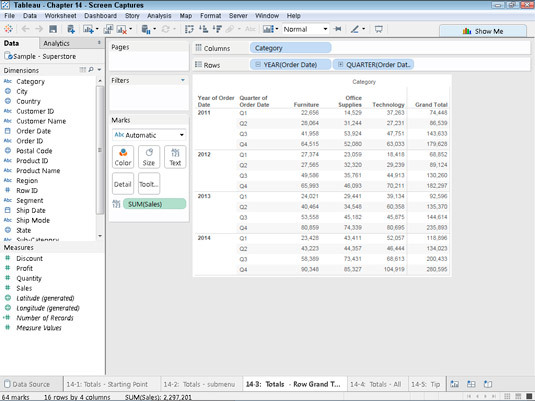 Often when creating a Tableau visualization, you may discover that you want to add totals and sub-totals to your view. (You may have selected a chart type that shows a table with values, for example.) 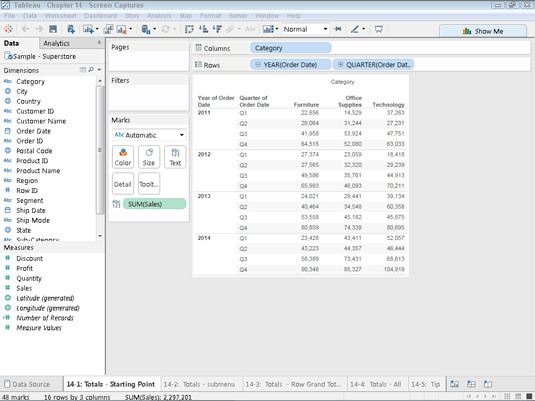 With Tableau, it is simple to include both sub-totals and grand totals for measures. 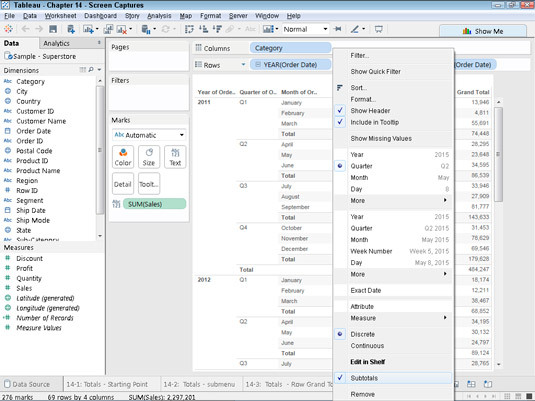 Drag fields to shelves to create the table displayed. A table prior to totals being added. 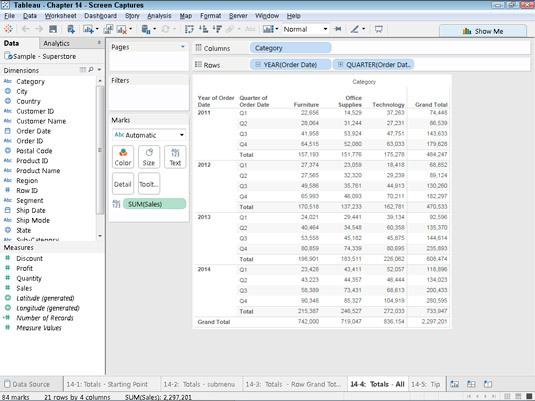 Choose Analysis → Totals from the Tableau main menu and then select either the Show Row Grand Totals or the Show Column Grand Totals option, depending on which totals you want to include. Choosing the type of totals you want to include. To add Column Grand Totals, return to Step 2 and choose Add Column Grand Totals from the Totals submenu. To add sub-totals, return to Step 2 and choose the Add All Sub-totals option from the same submenu. Doing so yields these results. Choosing Grand Totals and All Sub-Totals. If multiple levels of sub-totals in your visualization are just a bit much, just right-click a field and uncheck Sub-totals in the contextual menu that appears. This is a sample of what it looks like to work with Sub-totals for the Quarter(Order Date) field. 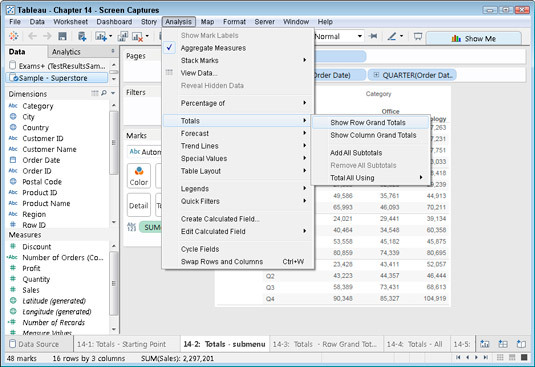 Manually removing a level of sub-totals.